The Ameren microgrid — built in partnership with S&C Electric — has become the first microgrid to achieve certification under the Performance Excellence in Electricity Renewal (PEER) updated v2 program. Ameren will be presented with its PEER certification fittingly on Tuesday afternoon at Microgrid 2018 in Chicago. The Ameren microgrid — built in partnership with S&C Electric — has become the first microgrid to achieve certification under the PEER v2 program. The certification program, organized by Green Business Certification (GBCI), is designed to provide a framework for defining high-performing power systems. And microgrids certainly fit the bill. In fact, earlier this spring, Schneider Electric was awarded PEER certification for its advanced microgrid serving Montgomery County, Md. The $5 million Ameren microgrid facility in Champaign, Ill., is located at Ameren’s Technology Applications Center (TAC), adjacent to the University of Illinois, and is unique for a variety of reasons. 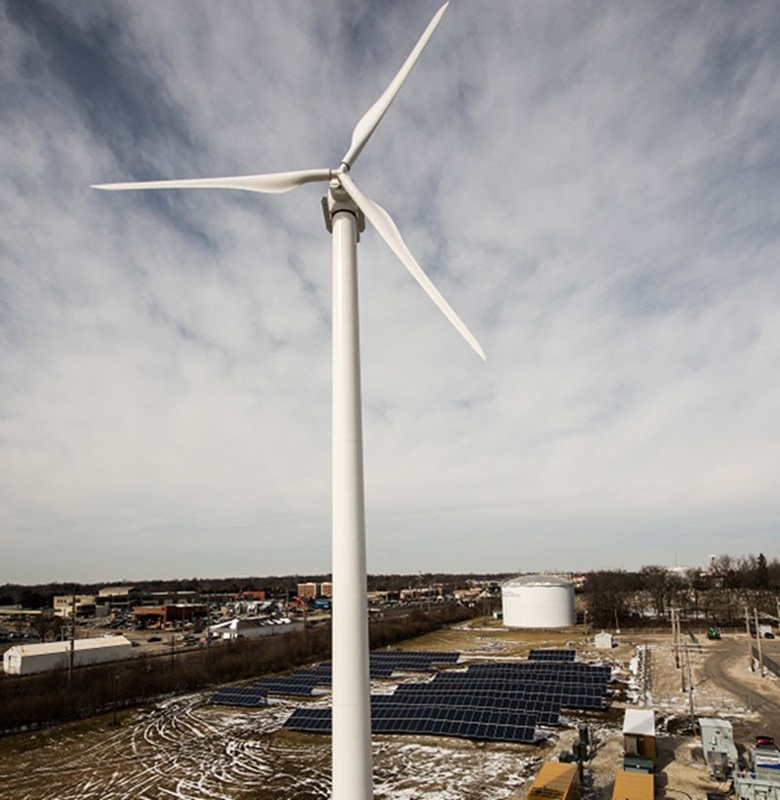 The Illinois microgrid came online in May of 2017, and the facility supports a 1-MW residential load through a variety of distributed energy resources (DERs). It can produce up to 1,475 kW to power residential and commercial customers, and consists of natural gas generators, battery energy storage, a microgrid control system, and solar and wind generation. Ameren’s microgrid is the first in North America to be created while on live customer loads and have a seamless transition. Ameren is also the first utility to install a military-grade cybersecure microgrid controller, which is manufactured by S&C Electric subsidiary IPERC. Further, the Ameren microgrid is the first time a utility is serving paying customer loads on a utility distribution feeder in North America. The microgrid’s distributed generation can be delivered directly to local customers, routed to the central grid, or stored in the microgrid’s battery. As for why the Ameren microgrid was chosen to receive PEER certification, key criteria includes reliability and resiliency, energy efficiency and environment, operations and safety, and grid services. PEER assesses utilities, campuses, cities, and transit for high-performing power systems proven to benefit the end customer. The Ameren microgrid has become the first to receive certification through the updated PEER v2 program. Microgrid 2018 attendees have a chance to tour the award-winning Ameren microgrid on Wednesday, May 9. The tour, sponsored by S&C Electric, will take guests across a 5-acre property and behind the scenes of the microgrid project.